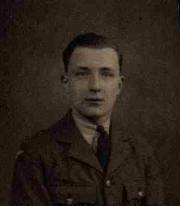 During the Second World War, Frank saw active service in the RAF as Wireless Operator/Gunner in Ansons and Liberators. 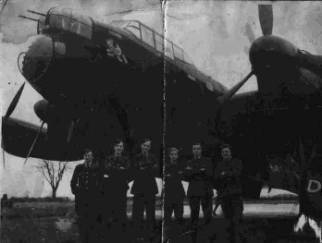 Here is his crew in front of their aircraft. Frank is second from the right. Tragically, Valerie died as a child, from leukaemia, and, after a long illness, Frank himself died when Teresa was only eight. 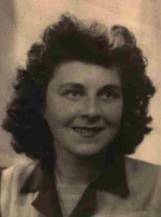 Subsequently, Hazel lived with her mother for some years, before marrying Alan in 1977. Hazel joined us at Darkes Farm in 1995, and had a few enjoyable years with us before her stroke two years ago. Since then, she has been increasingly disabled. 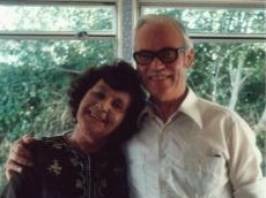 Teresa looked after her until September last year, when she moved into a nursing home, Breadstone House, near Berkeley in Gloucestershire, where she remained until her death in July 2002.